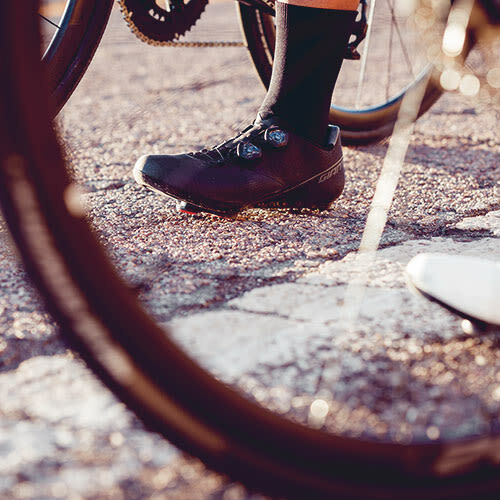 Footwear is a key connection between rider and bike. 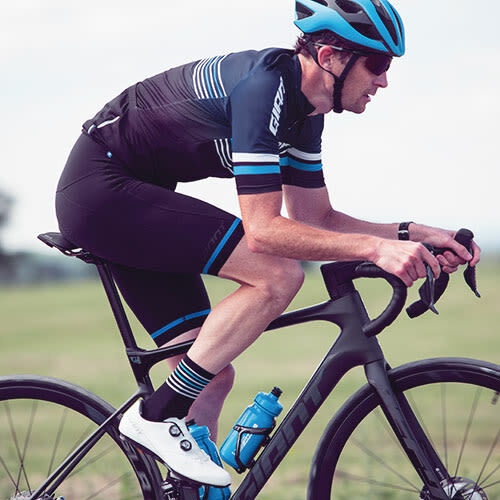 It’s where energy is transferred into forward motion, and a perfect fit combined with a proven design elevates any cycling experience. 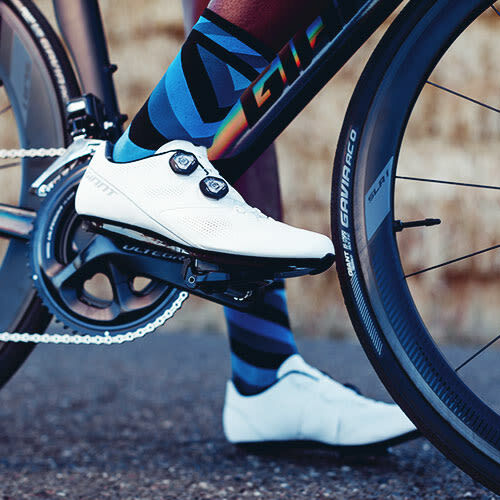 Giant works with our pro riders to design footwear that optimizes the natural motion of your foot and offers just enough torsional flex to give you superior power transfer with less pressure and strain. The result: You can sprint faster, hammer up climbs and ride all day with more comfort and ease. To bring any DCF product to life, the most advanced engineering and testing methodologies are required. It takes commitment to develop new technologies, new solutions and, ultimately, a more seamless connection between rider and bike. The fit, feel and performance of a shoe changes when it goes from static to active. Part of the DCF process is conducting extensive research—with athletes, engineers and biomechanical experts—to rethink product development from a dynamic point of view. 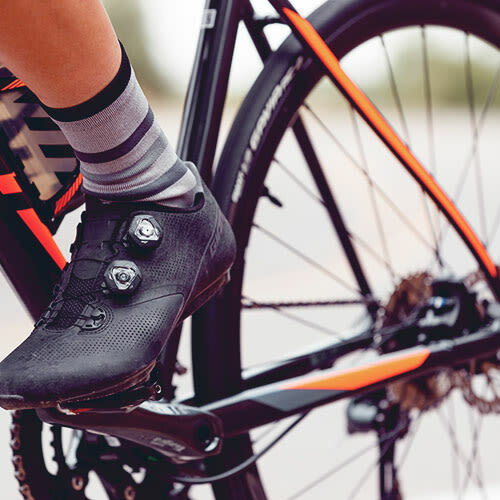 You can see this in the Motion Efficiency System for premium footwear models that feature ExoBeam and ExoWrap—bold innovations that improve pedaling efficiency. To further enhance its DCF footwear line, Giant worked with some of the world’s leading biomechanical experts and athletes. This multi-year collaboration included, among others, industry-leading footwear developers and Giant pro racers from around the world. Testing was conducted at various laboratory settings, team camps and ultimately during the races. A higher level of performance, fit and comfort. When you see the DCF tag, that’s what you can expect.